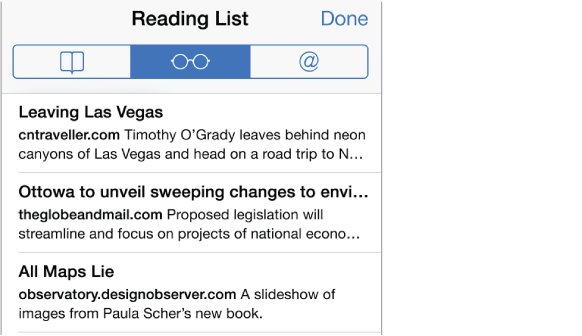 Save interesting items in your reading list so you can revisit them later. You can read pages in your reading list even when you’re not connected to the Internet. Add the current page to your reading list. Tap , then tap Add to Reading List. View your reading list. Tap , then tap . Don’t want to use cellular data to download reading list items? Turn off Settings > Safari > Use Cellular Data.